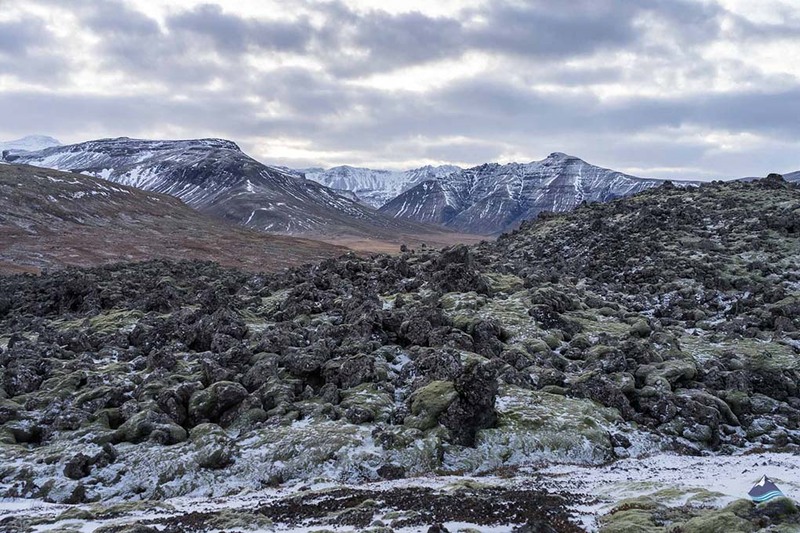 Húsafell, the woodland oasis of West Iceland and one of the older settlements in the area. 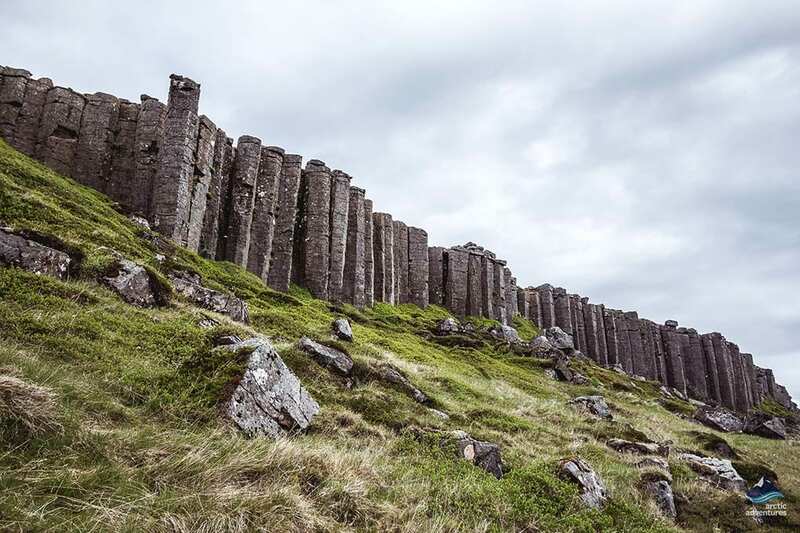 It is where travelers sought refuge and food when traveling across the West being welcomed by the farmers and the forgiving nature and where today people visit for a relaxing time, a hike in beautiful nature or even to meet up for an ice cave experience! How to get to Husafell? What to do at and around Husafell? Where to eat near Husafell? 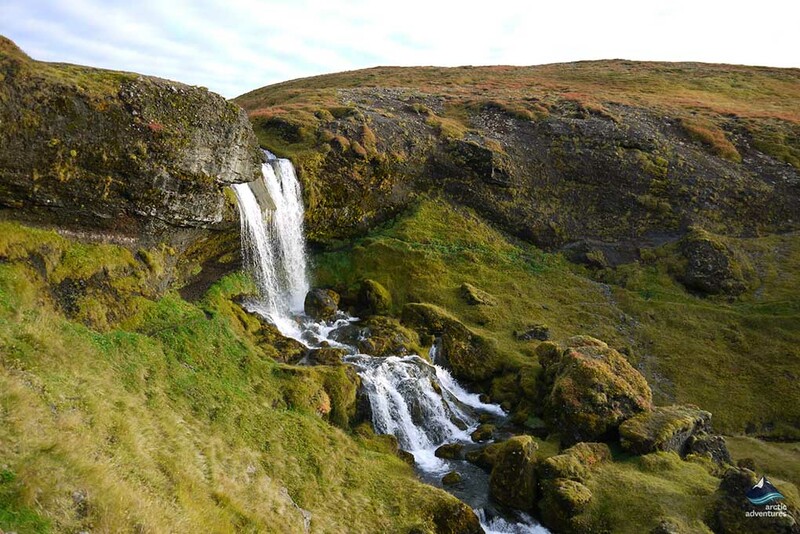 Húsafell is one of those places in Iceland that truly take your breath away. Located in the Borgarfjordur region in West Iceland this farm and church site is surrounded by colorful birch and bushes. 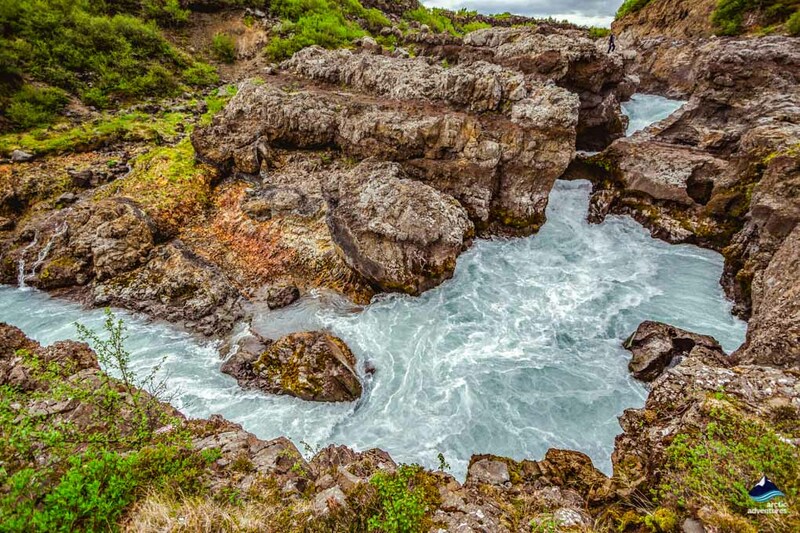 It is home to incredible hiking paths, ponds, waterfalls, lava formations and small gullies that will make you feel like you just stepped into a fairytale. Húsafell is one of the older settlements in West Iceland, unusual in the way to it isn’t at the coast but actually quite far inland. But once there, you will see all the natural beauty and why the Viking simply couldn’t resist putting their farms down here. Even though it might have meant more effort in transportations. Another positive point to the area is the trout and salmon lakes and rivers which probably made living there even more rewarding. Perhaps not surprising but Husafell has for long now been an inspirational place for artists, and some of its inhabitants have included Jóhannes S. Kjarval, better known as just Kjarval one of Iceland’s most loved painters and at this current time sculptor and musician Páll Guðmundsson who was originally best known for carving faces into large stones but now for his stone harps. These stone harps which he keeps at Húsafell have gotten famous worldwide and are sought after by many recognized artists, especially after being played by Iceland’s most famous band Sigur Rós. 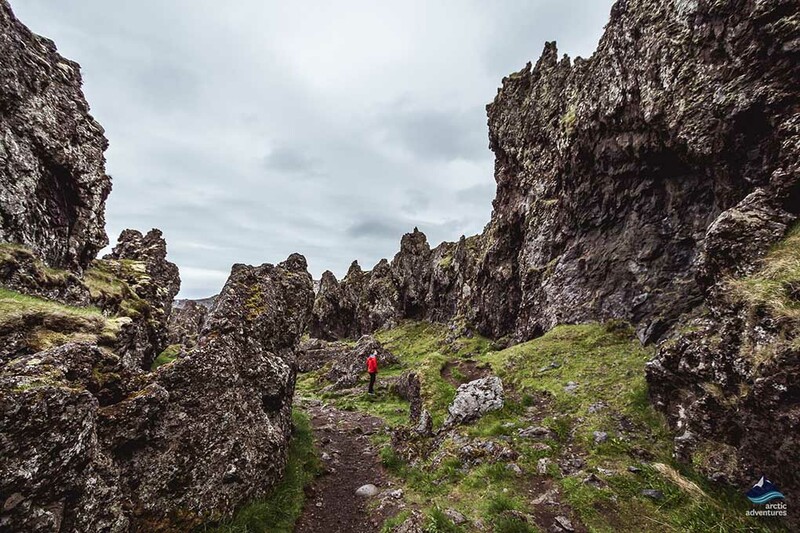 Húsafell has been a safe haven for Icelanders for centuries and still, today serves as a zen paradise for those looking to escape the busy life and get in touch with nature. From there you can meet up for all sorts of tours, have a quiet walk around or simply enjoy the hot tubs at Hotel Húsafell. How you enjoy it is up to you, Húsafell awaits. Húsafell is located in the West of Iceland, inland in the district of Borgarfjordur. The Húsafell area is quite spread so we will measure the distances from Hotel Husafell, located where the old farm was placed. 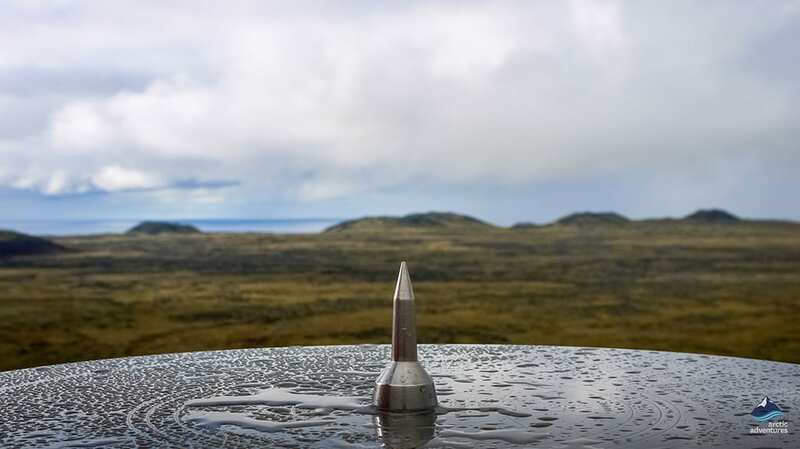 Husafell is 64,5 km (40 mi) from Borgarnes and 132 km (82 mi) away from Iceland’s capital, Reykjavik. There are two ways of going about visiting Husafell, you could join a Silver Circle tour or you could get a rental car and drive there yourself. 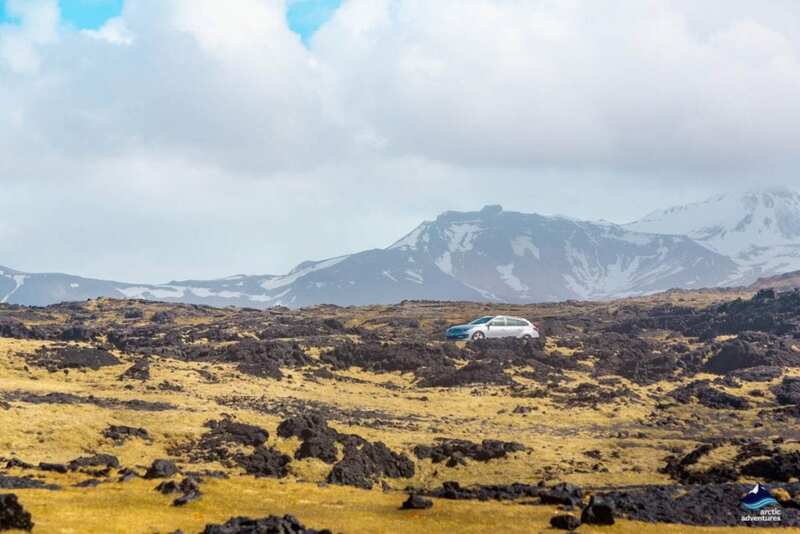 Driving from Reykjavík to Husafell should take about 1 hour and 45 minutes. You will need to follow road one out of Mosefellsbær, past Mt. Esja and through the undersea tunnel Hvalfjarðargöng, onwards into Borgarfjordur but when you are about to cross the bridge to get to Borgarnes you make a left to road 50. This is the road you keep on until you arrive in Húsafell going past Deildartunguhver and Reykholt. Don’t be alarmed if the road is suddenly called 518, it’s the same one. Taste your strength with the Husafell Stone, the world’s most famous Lifting Stone – but only if you are used to weights, heavyweights. The legendary stone is 186 kg or 409 lbs, so only for the strongest, or a team of people to try! 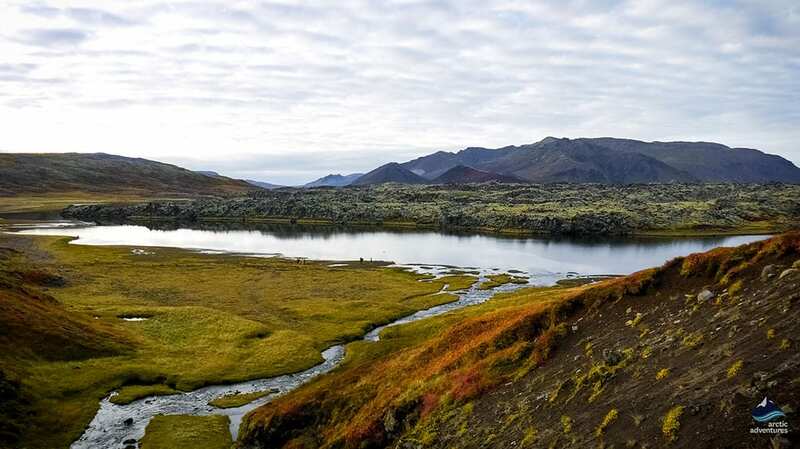 Go hiking – Husafell is a very popular hiking area, with unusually high trees (on an Icelandic scale) and almost no wind because of it this lava and pond paradise will amaze you! If you are looking for a more challenging hike try mt. Tengill. 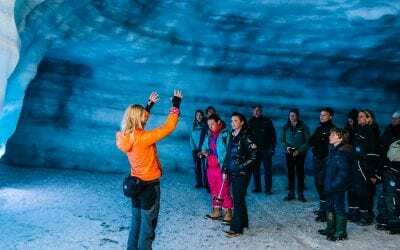 Join an all year round Ice Cave Tour – the largest man-made ice cave in the world is located only about an hour away from Husafell in Langjokull Glacier and they offer pickup from Husafell. A true arctic adventure! 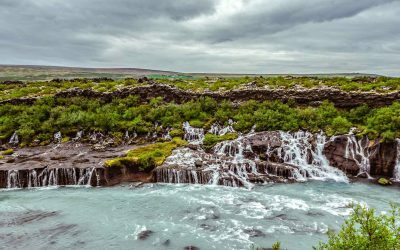 Visit the neighboring waterfalls – Hraunfossar and Barnafoss are truly a must see when in the area! 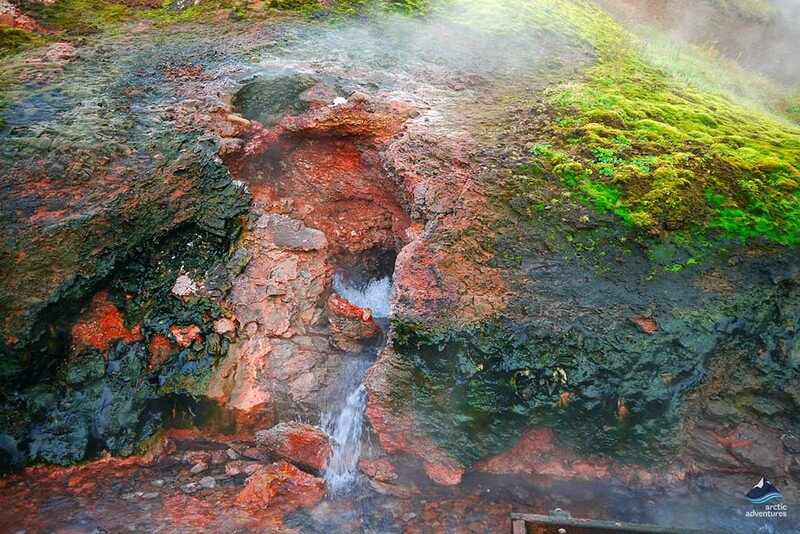 Witness the force of Europe’s most powerful hot spring – Deildartunguhver is a natural wonder! 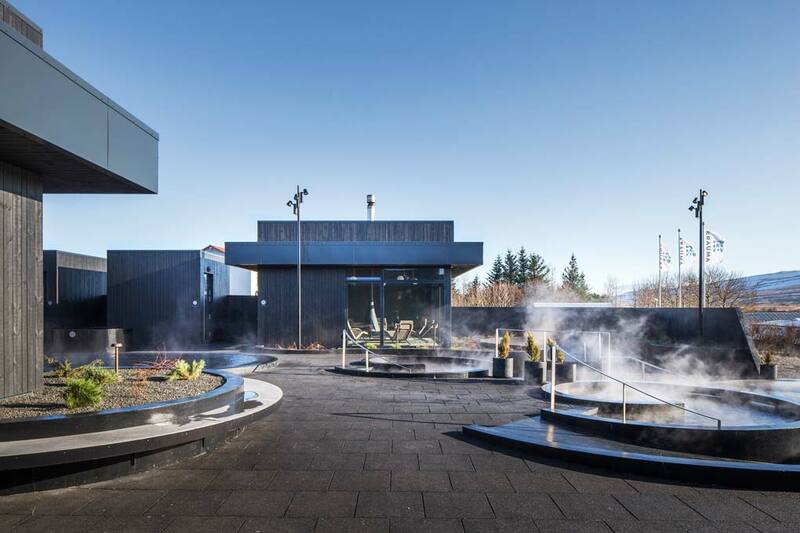 Visit the incomparable Krauma Geothermal baths – soak in the geothermal hot tubs, relax in a steam bath located above a natural hot spring, find peace at the fireplace or have a yummy lunch at their restaurant. 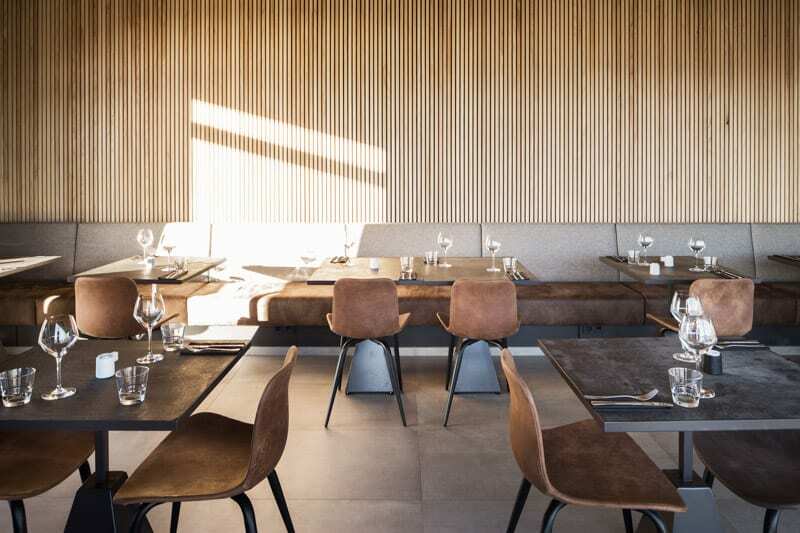 Hotel Husafell – To begin with, the place is stunning, with high wooden ceiling, a fireplace and fitting furniture, but then you get the food and it’s amazing! The perfect mixture of quality food and awesome interior! 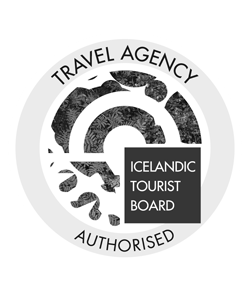 Husafell Bistro – so many options, you can do the delicious dinner buffet, or taste some authentic Icelandic lamb meat soup, play it safe with a pizza or simply treat yourself to some cake. They do it well! Krauma Restaurant – the restaurant at the geothermal baths right next to Deildartunguhver hot spring, offering some tasty fresh locally produced meals. A lot of healthy options! There are a few different camping sites at Husafell all of them equally as popular. The main one is situated in the middle of the cottage neighborhood that has formed in recent years. It is on walking distance of the nearby golf course, the swimming pool and a playground for the kids. 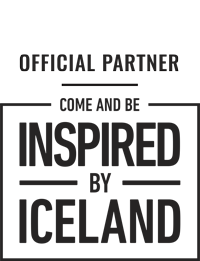 You can even find a small supermarket and the Húsafell Bistro restaurant. 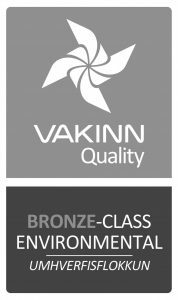 The facilities include toilets, showers, electricity, running hot and cold water, cooking stations, washers and dryers. Price: Adults pay per night 1500 ISK and children (7-17) pay 800 ISK. There is an additional cost of 400 ISK for each tent. The other two camping sites are located about 2 km away from the service center. 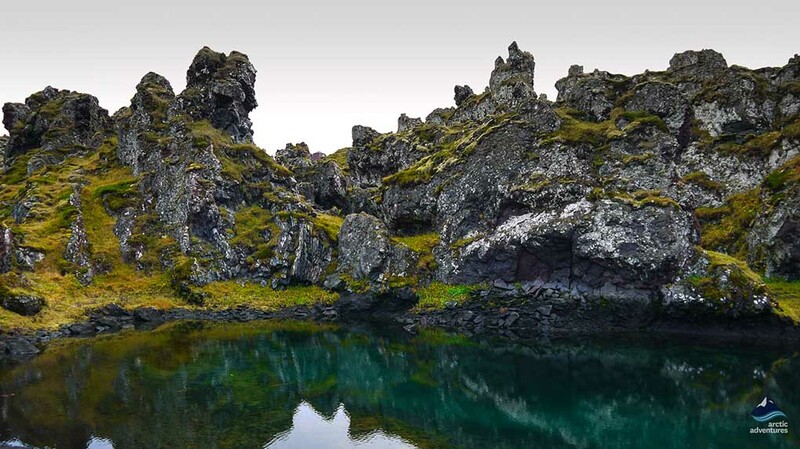 They are Vallarsvaedi and Reydarfellsskogur. Húsafell is a beautiful place to visit in any season and the Northern lights often put up quite the show, shining even brighter due to the very limited lighting there is in the area. 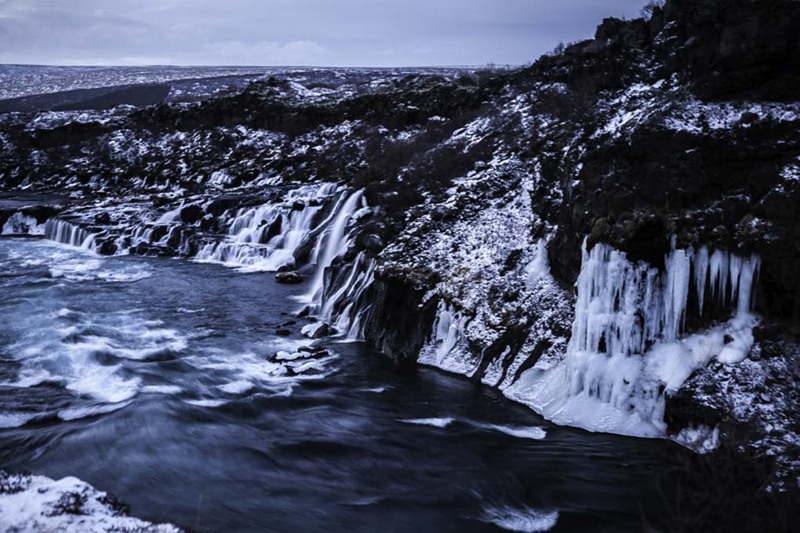 During the day the lava fields look snow-kissed when the area turns into a true winter wonderland but the waterfalls continue to run, often decorated with icicles and frost. The hotels remain open, the ice cave tour keeps running and the hiking trails are there for you to explore. Just remember to dress warmly, and wear sturdy boots! 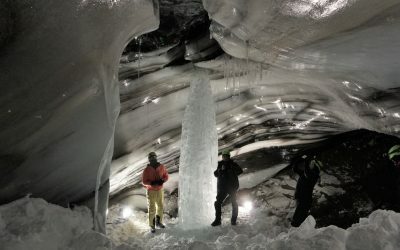 Ultimate Ice Cave tour from Reykjavik! 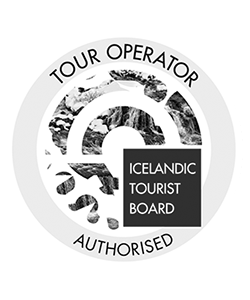 See an erupting geyser hot spring at Geysir, visit Gullfoss Waterfall, travel over Langjökull Glacier on the Super Truck and explore a stunning Natural Ice Cave.